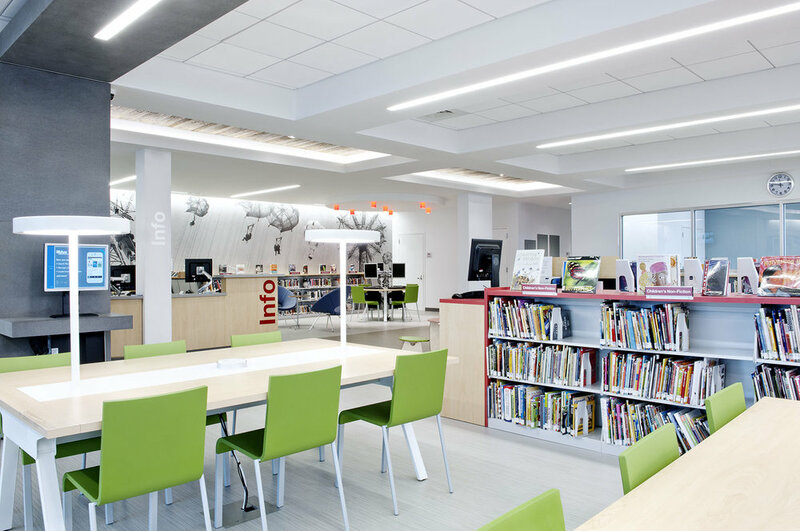 Inundated with five feet of water after Hurricane Sandy we were asked to provide a design-build to put the library back in order within one year after the storm. 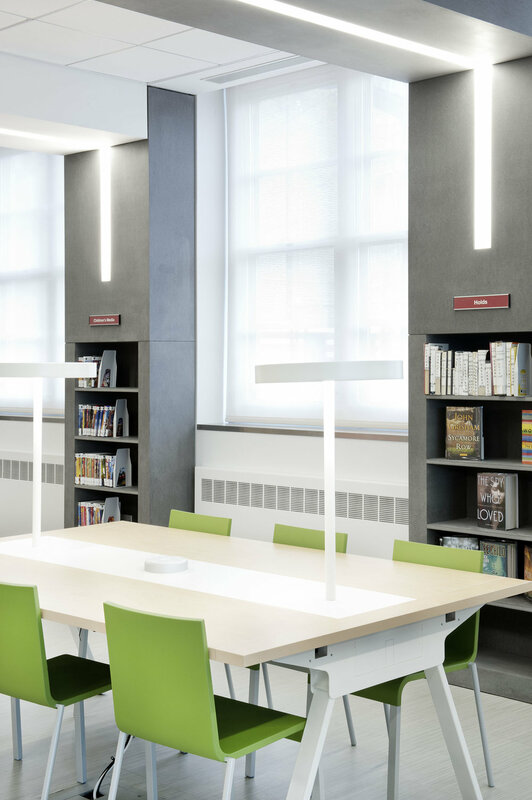 We worked with BPL in a fast track basis to completely transform the space into a ‘retail’ environment for a library. 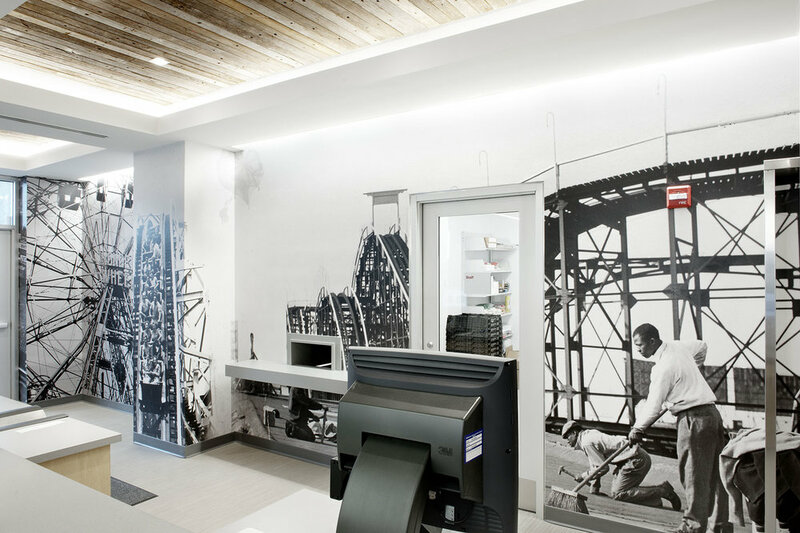 The design includes ceilings made from original wood from the Coney Island Boardwalk for the ceilings, it incorporates historic images of Coney Island, and MDF frames of light to embrace the reading room.